​In recent years, the United States has experienced its share of natural disasters, with the results often devastating. Its true that we cannot control where or when the next disaster will strike, but one thing we should do is prepare in advance, as much as we are able, for one. We are often advised to have an emergency go kit, containing everything we would need to survive for a few days and something we could grab quickly if needed. Its also wise to have an emergency disaster plan that the entire household is familiar with. This way, in a disaster situation, the family knows exactly what they should do and where they should go. What about the home? How will that benefit from advanced preparation? Well, if areas of the home are in disrepair, they may present more of a problem during an emergency. For example, loose roof shingles could easily fly off during a storm. Gutters and downspouts should be kept clear of debris as this would also be a problem. What about the chimney, if the home has one? Does that need some repair work? Trees can become a problem during a disaster as they can cause a lot of damage to roofs, power lines and could even injure someone. Make sure trees are well trimmed and do not have loose branches. It’s important that you are familiar with the location of where to switch off the home’s utilities such as gas, electric and water so that you will be able to quickly turn them off during an emergency. So, while we never want to have to deal with an emergency disaster situation, being prepared in advance may go a long way to staying safe during one. A common type of wood siding is solid wood or lumber. Provided it is well maintained, it can be very durable and has a very nice appearance. You can also use it horizontally, diagonally or vertically. If you are looking for a less expensive option then hardboard is a good choice. Hardboard siding is usually made up of wooden fiberboard which is compressed and made using a synthetic adhesive. It is then treated with a preservative (EPA approved) to help protect it from decay and insect damage. Another attractive option is weatherboard or clapboard which is generally installed horizontally using overlapping boards. Woods often used for this are cedar and redwood as they are strong and less prone to decay. Plywood is another wooden siding option. It can be installed either horizontally or vertically and may even add extra support to the homes structure. Douglas fir, yellow pine and red cedar are among the woods typically used for this. From this short list its clear to see that if you are thinking about wooden siding for your home, you have many choices. How Thorough Will Your Home Inspection Be? ​Perhaps your planning to move to a new house sometime in the new year. We all know that buying a home and moving is among some of the most stressful things you can do. As you may already be aware, when you find a home you want to buy, a home inspection will need to be performed on it to make sure there are no hidden problems with it. Maybe you’re wondering, then, what will be inspected? And, how thorough is a home inspection? To help answer those questions and more, we have a short video that will give you a better understanding of what’s included on our home inspections. Our home inspections are very thorough so that you can have peace of mind that the home you’re choosing will be the right home. We are here to help you through this stressful process so please don’t hesitate to contact us with any questions. ​Bank owned properties or foreclosures are something many potential home buyers look into as a way of getting on the property ladder for a relatively low cost. Are you considering this option? Perhaps you are a first-time buyer with a tight budget and feel this is the right choice for you. While purchasing a bank owned property can be a great option, its important to go into the process with as much information about the house as possible. What are some ways you can do this? If you are using a real estate agent, be wary if they tell you not to bother with a home inspection. They may well reason that because you are buying the property “as is” there is no point in spending extra money on an inspection. Although that may seem like a reasonable argument, how can you really know what state the place is in if you have not had it thoroughly looked at by a professional who knows what to look for? What if the home has some major structural problems? This would end up costing you thousands. Another reason for having a home inspection performed is that, because of the nature of bank owned foreclosure properties, it is likely that very little maintenance has been done on the home. Sometimes a homeowner will even cause damage or strip the home of anything valuable before vacating it. It might be full of rubbish and have been vandalized. These are all things you, as the new owner, would be financially responsible for. To summarize, then, although buying a foreclosure property can be a very good purchase, make sure you get it inspected before you sign any contract. In this way, you will be aware of what’s involved in the fixing up of the property and can prepare yourself for the extra expense. ​Are you about to put your home on the market? Maybe you are looking to buy a home, perhaps for the first time. Whatever the reasons are for selling or buying a home, you need it to go as smoothly and successfully as possible, so its vital to have the right professional people working for you. Its clear to see the advantages to this, so what about when its time to have the home inspected? 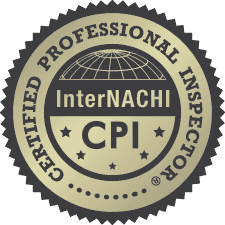 Please enjoy the following video that highlights why we are a good choice for all your home inspection needs. We are there to help you, not just on inspection day, but for all your inspection needs in the future. Please don’t hesitate to contact us for more information and advice for your home. We will be happy to assist you.